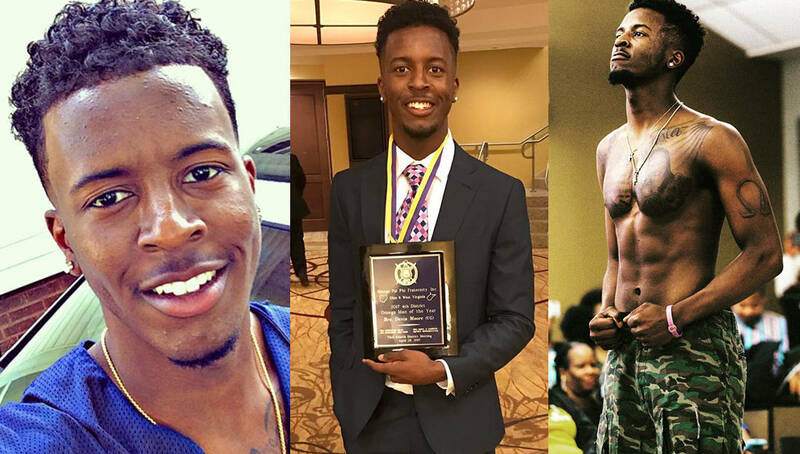 The Black fraternity and sorority community is currently mourning the loss of Kent State student and proud member of Omega Psi Phi, Devin Moore. Moore, who passed away Wednesday, was named the 2017 4th District Undergraduate Omega Man of the Year back in April. “We mourn the passing of Brother Moore. He was a young man on a fast track to success. Please pray for the family, friends, the Kent State Community, and our members,” the official account of Omega Psi Phi tweeted. 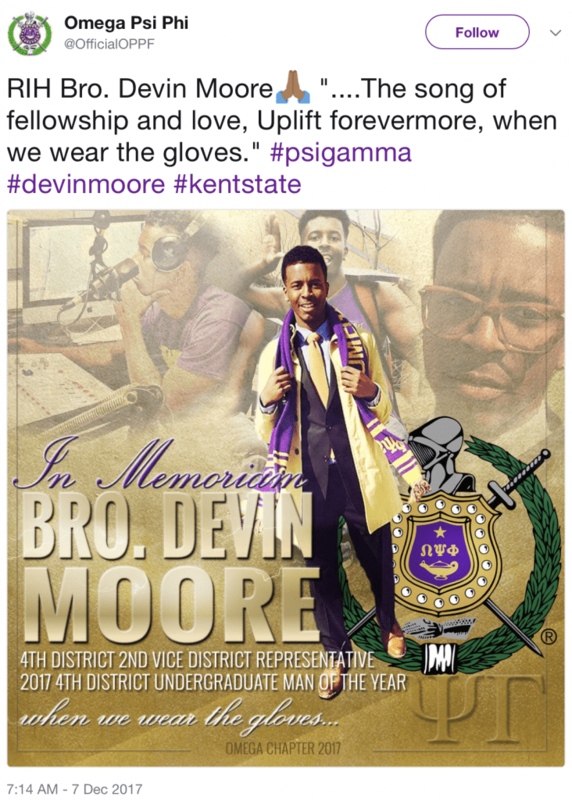 “Our thoughts and prayers are with Devin Moore’s family and members of Omega Psi Phi Fraternity, Inc. as they grieve his tragic passing,” executive director of media relations at Kent State, Eric Mansfield, told FOX 8 News. According to people close to Moore who reached out to Watch The Yard, he collapsed as he was playing basketball at the Student Recreation and Wellness Center. We ask that you keep Moore’s family, friends and fraternity brothers in your thoughts. We also ask that you leave your condolences and memories of him so that his family can see how much he meant to all of us.